Jonathan Bomford qualified as a Chartered Accountant with Deloitte Haskins and Sells. Three years after qualifying he joined Ernst & Young serving 24 years in their Middle East and East Africa firm. He performed a number of rolls in the Abu Dhabi, Dubai, Nairobi, Riyadh and Jeddah offices. For his last 15 years with Ernst & Young, he was a partner with a wide range of international clients across a number of business sectors including healthcare, oil, banking and construction. Jonathan was also responsible for identifying and recruiting senior staff to join the Middle East practice. In 2000, Jonathan returned to the UK to develop a business services and renewable energy company. In addition to his private business activities, Jonathan has undertaken a number of roles including serving as an honorary Trustee of a charitable Agricultural Trust funding agricultural projects and sponsoring agricultural engineering students. 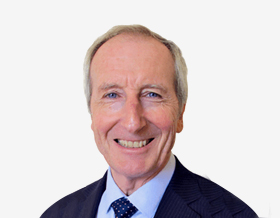 He is a past Chairman of the Trust and is now Trustee advising on investment matters. Jonathan is also an Official Mentor providing specialist business advice and services to clients and other Mentors of the Prince’s Trust. In 2015 Jonathan joined the Board of Travelex Holdings Ltd as an Independent Non-Executive Director providing advice on matters of Corporate Governance. Given his extensive financial experience, Jonathan is the financial expert serving on the NMC Audit Committee. Since joining the Board Jonathan has been a member of and is currently Chairman of the Remuneration Committee.